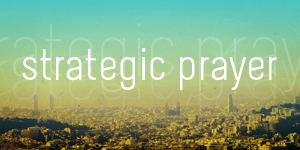 PRAXIS - God Revolution: How About Strategic Praying and Discerning Instead of Strategic Planning? How About Strategic Praying and Discerning Instead of Strategic Planning? We Presbyterian types like to plan things. We like plans. We like to know where we are headed. We like to shape our own future. For the most part, this used to work for a good part of recent history. Five year, ten year strategic plans were the smart things to do. How else could we expect to get some place without planning? This used to work for a good chunk of time. But it doesn't any more. The world has changed. The assumptions and rules by which we could fairly accurately predict the future no longer work in this rapidly changing world. The only thing certain about the world we live in today is that things are constantly and rapidly changing. Things are changing so rapidly today, it's foolish for anyone to make predictions about what our world will look like five years from now, ten years from now, and base our entire future plans on such predictions. So do we chuck strategic planning out the window? Since the rules and assumptions about our world is undergoing constant and rapid change, we ought to take the time to pray and listen to some One who might actually know a thing or two about the future. In the midst of such rapid and radical change, it's time that Presbyterians recapture, relearn practice the faith discipline of prayer and discernment. Before we head off planning leadership retreats and planning meetings about the next best five year strategic plan, how about we plan leadership prayer, listening, discerning retreats and meetings to ask God what he is already doing about this future? How about we get really serious about the sovereignty of God, and take seriously that this sovereign God actually desires to lead his church? How best to know where and how God is already leading his church than getting very serious about listening and discerning for God's guidance through a season of prayer and studying his word? I bet, we just might discover that God's already at work to bring about the renewal and regeneration of his church. And as we discern where he is already at work, we just might have the incredible privilege and honor of being a part of what God is already doing in this world to reconcile hurting, anxious, lost sinners to his awesome grace. What is the biblical foundation for "strategic planning" or "longterm planning"? I don't see much if any of it, that is, not done by people. The Spirit leads, and although a problem between Christians is solved by a council (Acts 15), strategic planning for the proclamation of the Gospel in new areas seems to be done exclusively by the Spirit who calls individuals and gives them a method that works (Paul going to synagogues first). In our day we have seen the unprecendented growth of the Church in China. Was that the result of study committees, reports, fundraisers, "strategic planning"? I don't think so. But they do a lot of praying! Maybe we should become like children, led by the Spirit, with us praying and the Spirit doing the strategizing, and giving us just as much or little info as He decides, which is always enough for us to know where to go, what to do and how to do it. Our dependence on anything or anybody but the Spirit leading us might be our problem. Or am I too radical now? Well, after reading this post I was sort od smiling to myself..yes.. we need to stop(as humans trying to control,manipulate,steer) our future. As n expectant grandmother I sit here and marvel that ai cannot control or plan the way my grand children come into tne world, but I can pray that the circumstances in which they are born will somehow be a blessing to the family as well as to God's Glory. I try to keep in mind as I try to be patient and loving. We are SO out of control of everything! The more we pray the more the Holy Spirit trys to speak and we need to be so attuned to listening! It is hard to to do. I am only a lowly student in this school of life...but... I know I am not alone! child whose parents were still working on committment to each other. I never thought I'd be frightened and anxious about the delivery of my first grandchild...but God has these amazing plans that ask me to be faithful and patient. i can't plan out the life I want for me or for my children. It doesn't work that way. I can try and be very discouraged and disappointed at th eout comes, but God's plans are so much bigger and more indepth than my plans. And so I try to wait and try to be the kind of loving parent/grandparent that God would have me be, modeled after his son Jesus. So I pray, and have faith and patience.